Avery Financial Services • USA Financial Securities Corp.
Proactive Advisor Magazine: Diana, talk about your background and how you became a financial advisor. I was raised for the early part of my childhood in New York City, where my parents had first met. My family, including my brother and three sisters, lived in Brooklyn. My father was a truck driver and my mother, who had been the valedictorian of her high school class, worked for the board of education for New York City. While money was always a little tight, we had a great, supportive family life. My parents were dedicated to the idea that their children get a college education—and we all did. We moved to Roanoke, Virginia, when I was in junior high, and initially it was a bit of a culture shock. But I settled in, enjoyed playing basketball in high school, and was a good student. I attended Virginia Union University, where I was involved in a lot of activities. Although I majored in business administration, my favorite courses were in finance. That strong interest in financial markets and analyzing companies was one of the early influences in my later career path. I moved back to New York after college and held several positions with banks and Wall Street investment firms, including working in the research area. This was a great experience for me, gaining exposure to senior executives and seeing the inner workings of several top financial firms. I then decided to move to the Atlanta area and took a job with a national firm that focused on providing financial products and services to the middle-income market. This was a consultative sales position and helped me develop my skills in working with clients, ascertaining their financial objectives and finding solutions that were right for them. I also spent several years in Atlanta servicing the 403(b) market, where I provided basic financial planning and guidance on retirement plans primarily to educators. As a pension specialist, I took a great deal of satisfaction in building relationships with clients, understanding their goals, and helping them make sound decisions regarding their retirement plans. With my background in research, investment and insurance solutions, and financial planning, I decided it was time to become an independent advisor and founded Avery Financial Services in Atlanta. I think it was a great decision, and our firm has shown steady growth over the years. Please describe your mission in working with clients. We believe everyone should feel more confident about their financial future. Our firm’s chief priority is to guide clients through ongoing education and financial planning that can adapt to changes in their life priorities. Through seeing how all of the financial pieces of their lives fit together, clients will hopefully be able to successfully navigate the path to financial independence and security for their retirement years. We are committed to excellence in our process of working with clients—through adding value and delivering highly personalized service. We treat our clients as we would want to be treated ourselves and strive to create meaningful long-term relationships. We act as a fiduciary, which means we are held to a high standard and work only in our clients’ best interests. As an independent firm, we can review a wide universe of products and services with clients and help guide them toward solutions that meet their unique needs and objectives. We apply our holistic approach for clients from all walks of life and age ranges, everyone from millennials to those already in their retirement years. Our firm’s bull’s-eye segment consists of people who are looking to retire in five years or less or who have retired within the last five years. I work with them to identify financial-planning solutions to allow them to be self-sufficient going into the next phases of their lives—freeing them up to do whatever it is that they desire to do. With many of the educators and government employees I have worked with over the years, a fair number have chosen to retire on the early side. That can be challenging, but achievable. We have often called it “graduation,” successfully completing one stage of life and moving on with anticipation to the next. Quality of life is something we focus on, so our relationship with clients involves knowing quite a bit about their life goals and what they hold most important. What are the steps in your planning process? I decided that in becoming an independent financial advisor I wanted to greatly enhance my knowledge base and professional skills in the planning area. I studied to become a Certified Financial Planner (CFP) and found that to be a very rewarding experience. I believe in the CFP planning process and the fiduciary standard and apply those rigorously with my clients. The basic steps are discovery and gathering data, defining the advisor-client relationship and how we can add value for clients, evaluating a client’s current financial position, discussing and determining goals and objectives, developing recommendations that are goals-oriented, and then going into the phases of implementation and ongoing monitoring and review of progress toward goals. I think one of the major benefits of this type of approach is simply in getting everything out on the table. I am a very patient person, and I will take as long as is needed to meet with clients to comprehensively go through the discovery process and goal identification. That is part art and part science, and people and listening skills are very important during this process. It is also important to identify where clients might need some other professional resources, whether that is an estate-planning professional, an attorney, or a qualified tax professional. We want to make sure the issues in their future financial lives are being addressed in a comprehensive fashion. There are three overriding points that are important. First, the fact that we conduct a rigorous financial-planning process means that their investment strategies should be a natural outgrowth of their goals and objectives. Second, as a firm that is independent and follows the fiduciary standard, we have the flexibility to look at investment products and strategies from numerous resources and provide solutions that work in the client’s best interests. Third, our business model incorporates the use of managed accounts, and we seek out experienced third-party investment managers who can provide portfolio strategies that we think are appropriate for our clients. I believe the managers that we work with provide several benefits for our firm and our clients. They can provide sophisticated, rules-based investment strategies based on their proprietary models. In building client portfolios, we are looking for strong diversification and risk management. I do not believe that most of our clients, especially those near or in retirement, should be simply invested in passive mutual funds that are fully exposed to market risk. Managed accounts can take advantage of tactical or active portfolio strategies that can respond in real time to different market conditions, which I think is a huge plus for our clients. Also, it is relatively easy with managed accounts to modify a client’s portfolio allocations if their objectives or their life circumstances change. The managers can provide a variety of portfolio options that are appropriate for clients across many different risk profiles, which is also a benefit in addressing the specific needs of a diverse client base. Finally, working with third-party managers provides a highly professional investment resource that few advisors could provide to clients on their own. Having this resource allows me to focus on what I do best: in-depth financial planning, dedicated client service, and maintaining strong client relationships. What are a few attributes that you think your clients would say characterize your firm? I want my clients to feel that I am giving them the ultimate client-service experience. I have studied a lot of top firms across different industries and understand that the client experience is really what separates the best ones. By and large, I don’t think people receive personalized service from financial-services companies that goes above and beyond. I am always available to my clients and encourage them to contact me with any questions or concerns, no matter how small they might appear to be. Part of this pursuit of service excellence is in creating a warm, enjoyable, welcoming environment for clients. I hold several client-appreciation events each year, and those are always well-attended. Of course, the real key to success as an advisor is in providing high-quality, professional guidance that helps people move forward in their financial lives in a positive manner. I want clients to feel that I really get their personal situation, needs, and objectives and am an empathetic person, as well as insightful and solutions-oriented. I will ask tough questions during the planning process, but those are always handled sensitively and with the objective of helping clients overcome challenges and identify opportunities. Sophisticated, rules-based investment strategies based on proprietary models. Strategies and options for portfolio allocations that can emphasize strong diversification and risk management. The ability to take advantage of tactical or active portfolio strategies that can respond in real time to different market conditions. The ability to modify a client’s portfolio allocations if objectives or life circumstances change. A variety of portfolio options that are appropriate for clients across many different risk profiles. Mrs. Avery was born in New York City and lived there until her early teens, when her family moved to Roanoke, Virginia. She was a talented basketball player and was on her high school team. Mrs. Avery earned a Bachelor of Science degree in business administration with a minor in finance from Virginia Union University. She serves as a chaplain on the Atlanta board of the Virginia Union University National Alumni Association. 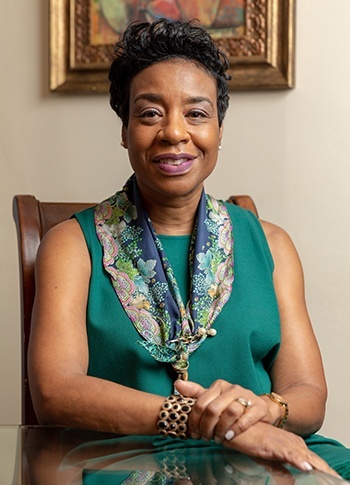 Mrs. Avery began her career in the financial-services industry over 20 years ago, working in different roles for several banks and investment companies in New York City. She then moved to the Atlanta area where she serviced the 403(b) market, working in the education and health-care sectors. Ultimately, she opened her own practice. 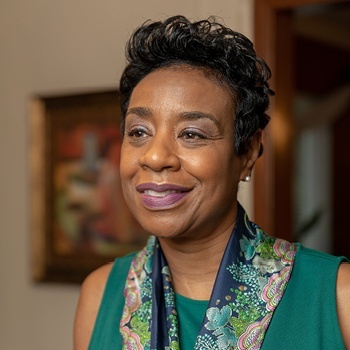 Mrs. Avery is a Certified Financial Planner, has received a Certificate for Advanced Financial Planning from Oglethorpe University, and is a member of the Financial Planning Association. Mrs. Avery and her husband are active members of their church, World Changers Church International, in College Park, Georgia, and she enjoys volunteering for the church’s financial ministry. 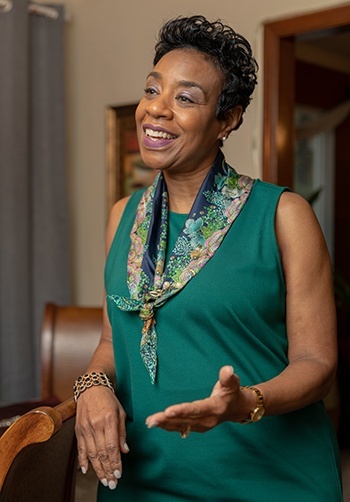 She says she and her husband “feel fortunate to give back by mentoring teenagers.” She also enjoys healthy cooking, entertaining, travel, and going to the theater. Disclosure: Diana Avery is an investment advisor representative of, and securities and advisory services are offered through, USA Financial Securities Corp., member FINRA/SIPC. www.finra.org. A registered investment advisor located at 6020 E. Fulton St., Ada, MI 49301. Avery Financial Services is not affiliated with USA Financial Securities.